Cary has called Atlanta home for over 16 years. He graduated from Georgia State University, in Downtown Atlanta, with a bachelors degree in Economics and a minor in Sociology. His drive and determination started as a competitive ice hockey player at the young age of four. This continued through his teen years, while at prep-school and college in Canada. He began his real estate career at the age of fifteen with Countrywide Mortgage, as an intern and pre-qualification specialist. During his junior year at Georgia State, Cary obtained his Georgia real estate license and began selling residential real estate with Harry Norman, Realtors in Buckhead. Cary was met with success in the Buckhead market, selling enough to be awarded Rookie of the Year, as well as being recognized for having the most outgoing referrals. Cary also managed and oversaw the construction, and ultimately marketed and sold a custom built home in Buckhead. Cary represents everyone from first-time home buyers, clients looking for new construction homes/condos, as well as build-to-suit custom homes. 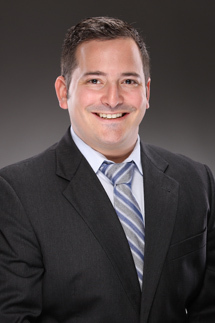 Cary also has considerable experience working with investors seeking rental property and multi-family opportunities.